The only thing even more satisfying than finding THE piece of equipment you were looking for is to find it at a lower price than expected. Altitude Sports regularly offers great discounts on a variety of products from your favourite brands. Get your hands on discounts on a wide range of Fjällräven products. Fjällräven is a Swedish brand specializing in sustainable technical equipment. Many of their products, such as the Kånken backpack, are now classics for outdoor and urban enthusiasts. The Last Hunt is THE destination if you want to save while getting the biggest names in the industry. The site has a very large selection of Fjällräven products at prices up to 55% off. If you’re looking for a winter jacket that’s reliable and stylish, look no further than this: at 40% off it’s time to get your hands on this Fjällräven classic. Made with the iconic G-1000 fabric from Fjällräven, the Greenland coat is durable and waterproof. Perfect for the changing temperatures of spring, it is large enough to allow you to layer comfortably for those chillier days. If you had to describe the Fjällräven Reporter Lite coat in one word, it would be “versatile”. In cool weather, it’s a sturdy and elegant coat, but when the temperatures rise, the sleeves can be easily removed to shed some heat (and some fabric). Made of fabric G-1000 Lite, it is durable and resistant to both water and wind. 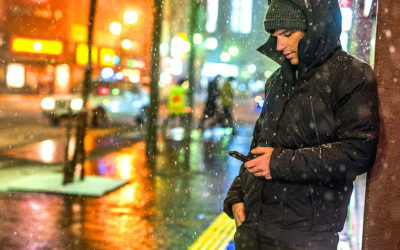 If you’re looking for a traveling jacket to go with you on adventures around the globe, do not hesitate: at 40% off, the Reporter Lite coat is perfect. The Räven coat from Fjällräven is THE autumn coat to get your hands on. Made of organic and durable G-1000 fabrics, it is as stylish as it is protective against the changing weather. Currently offered at 40% off, it is a practical coat which will look great during all of your urban adventures. To cope with the changing weather of spring, it is important to be well equipped and the High Coast windbreaker jacket, currently available at 40% off, is the perfect choice. To take full advantage of your spring adventures, you’ll be able to count on this windproof coat designed to dry quickly when wet. Becoming a member of Altitude Sports gives you access to many benefits. By signing up, you get an additional 5% off all online products available at Altitude-sports.com, including Fjällräven products. You also get free returns on all orders placed in Canada. Never Miss a Fjällräven Discount! In order to know all available and future promotions, you can subscribe to our newsletter. At the same time, you will obtain additional discount codes applicable to many other brands. How Should a Winter Coat Fit? Next Next post: Why is Bn3th Underwear so Popular?